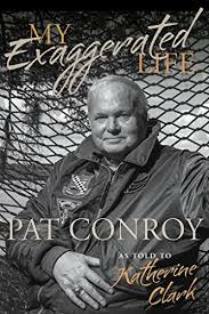 Pat Conroy is blunt, beyond candid, and bordering on bombastic, and if you’re a Conroy fan already, My Exaggerated Life, an oral biography told to Katherine Clark, is a deep and honest look inside the man behind the persona of some of the south’s best autobiographic fiction. Oral biographer and Alabama’s own, Katherine Clark, conducted more than 200 hours of conversations, mostly phone calls, before Conroy died in 2016. In My Exaggerated Life, Clark has masterfully culled Conroy’s tales of surviving childhood abuse, attempted suicides, and his lack of self-esteem into a voice, that arrives through the act of writing and years of therapy, with a greater sense of self. For Conroy this was a chance to let readers know the importance of telling his story, not letting other people censor his life and stories, and to tell stories that help writers. Surprisingly, Conroy published his own first book, The Boo, through a vanity press. Even back then he was driven to tell his story, and it also helps him learn the ins and outs of publishing for his next book. Telling his story wasn’t easy, especially early on. The only time the beatings from The Great Santini stopped was when the military called. “I loved it when dad was called overseas...Carol (sister) and I used to pray for war every year,” is how Conroy tells it. Only someone stricken with fear, shame, and low self-worth can write, “Emotion more than thought has ruled my life, and this is how I have screwed up my life.” Somehow he casts some of that fear and shame out with each book. Despite, or because of all these forces working against him, Conroy found and developed his writing voice, and Clark’s book is his exclamation point. Conroy started out as poet, but he became a novelist and unashamedly, an author of biographical fiction, memoir, and even autofiction. Yet he remained a champion of all writing, especially the screenwriter. “I think it’s good for a writer to do a screenplay, because you learn a lot.” In Conroy’s case, he earned a lot, not just writing screenplays but selling the movie rights for The Water is Wide and The Great Santini allowed him to continue to write more novels. Conroy, the reader learns, was impressed with Clark’s two earlier oral biographies on Mobilian Eugene Walter and Alabama midwife, Onnie Lee Logan. Clark takes the elements of Conroy’s free-flowing and revealing narratives and effectively compresses all the drama in his life, the mad, sad, funny, shameful way he led his life, so readers discover an honest, compelling life with cursing and humor, mostly the self-deprecating type. Readers, much like this reviewer, may wonder where Clark’s Conroy recordings will end up. 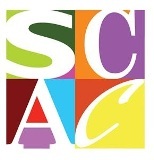 Mostly likely, they will be archived at the University of South Carolina, with the rest of his papers. Since listening is the new reading for many, perhaps an audio version of the “fat rhinoceros-like man” is forthcoming so everyone can share Clark’s experience of listening to the stories of a mostly southern life, as only Conroy’s inimitable voice can tell us. Whether or not an audio version emerges, we’ve not read the last of Clark, as she’s become adept in her genre. By capturing Conroy’s stories, she’s a resurrectionist, of sorts. Of shifting from a teaching career to writing, Conroy writes, “By not teaching, I lost something from my life.” Thanks to Clark, and unbeknownst to Conroy, readers and writers can still learn a lot from one literary man’s exaggerated life.